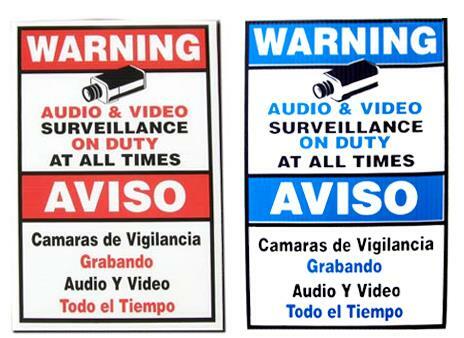 Can be used with security cameras, dummy security cameras or alone as an added measure of deterrence. Light weight and made of corrugated plastic the sign is designed for indoor or outdoor use. Easily posted using double sided tape or tacks.